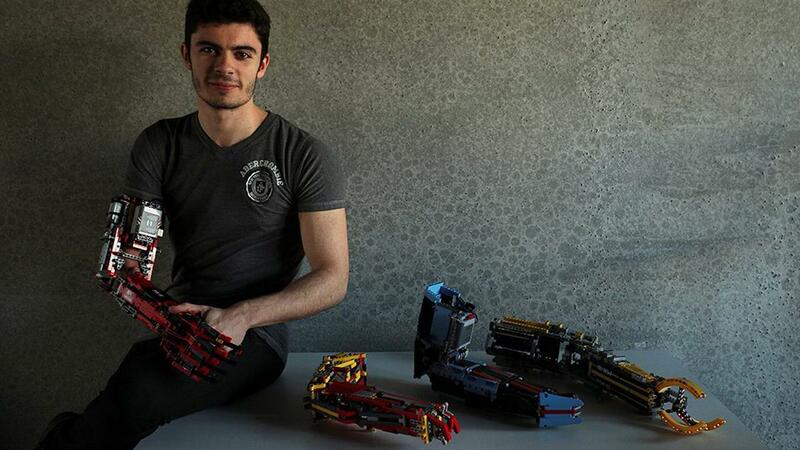 A teen in Spain has combined his love for engineering and one of his favorite childhood toys to create a prosthetic arm. David Aguilar, 19, from Andorra, a small principality between France and Spain, was born with a rare genetic condition that caused him to be missing his right forearm. “As a child I was very nervous to be in front of other guys, because I was different, but that didn’t stop me believing in my dreams,” Aguilar, who is studying bioengineering at the Universitat Internacional de Catalunya in Spain, told Reuters. The teen, who built his first robotic arm out of the plastic bricks at the age of 9, has since created multiple versions — each of which have an increasing amount of functionality. “I wanted to … see myself in the mirror like I see other guys, with two hands,” Aguilar said. “I would try to give them a prosthetic, even if it’s for free, to make them feel like a normal person, because what is normal, right?” he told Reuters.